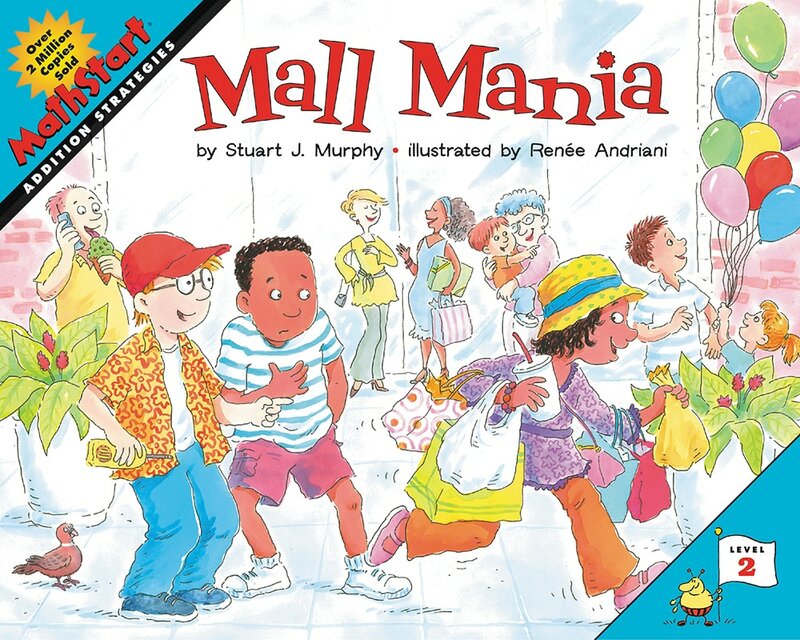 It's "Mall Mania" Day at the Parkside Mall. To celebrate, the 100th shopper to enter the mall will win all kinds of cool gifts. Jonathon, Nicole, Gabby and Steven—members of the Wilson Elementary chess club—are adding up the number of shoppers to come through each of the mall's four doors, sharing the data via walkie-talkie. Club captain Heather and advisor Mr. Grant are coordinating efforts. "How many shoppers so far?" asks Heather. Nicole counts 7, Gabby 4, Steve 3, and Jonathon 2: That's 7 + 4 + 3 + 2. Nicole adds the numbers one by one: first, 7 + 4 = 11; next, 11 + 3 = 14; and then, 14 + 2 = 16. Who ends up the lucky 100th shopper? Let's just say it's someone who never expected to be counted at all! Addition strategies are important skills for adding more than two numbers.